SecuraSoft™ PST to NSF Converter is an excellent tool to import Outlook PST file to Lotus Notes without changing the integrity of Original data. The tool facilitates with the conversion process of all data holder of Outlook like Emails, Contacts and To-Do etc. into NSF format. 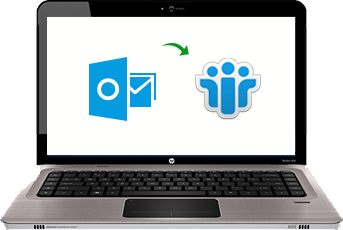 Lotus notes & Outlook installation is required for the migration. The PST to NSF conversion process includes all the contents from Outlook PST file like; emails, contacts, calendars, tasks, journals etc. into NSF and make them able to access in Lotus Notes. PST to NSF converter provides option to export selected items from your Mailbox. Selected emails, contacts, calendars, tasks, notes etc. can be import Outlook PST file to Lotus Notes just check-in the checkbox. Software provides the 3 types of filter for Emails, Calendar and Tasks to exclude undesired data. This will helps user to export the selective items from Outlook to Notes. The filtering option also maintains all the properties of the PST files intact. Outlook to Notes conversion tool provides option either to include or exclude the deleted items. Usually we don't include this folder as it holds unwanted messages in it and also it increases the Outlook PST file size. Software will maintain original folder structure of Outlook profile while import Outlook PST file to Lotus Notes. It also maintain the all the Meta properties of the emails and other contents at the time of conversion process. User can save the exported NSF to desired location; you can also create a new folder at any location of your choice from PST to NSF conversion tool. This will helps you to maintain an organized way to store the files. The PST to NSF Converter helped me to migrate my profile from Outlook to Notes. The excellent feature of the converter tool is that it converted all the contents with its Meta properties. Thank you for the excellent tool. I was planning to convert my Outlook profile to IBM notes. I was really confused with the whether migration will be successful or it will lose my emails and its properties. But the Notes to Outlook Conversion tool helped me to migrate my account to IBM Notes effectively without losing any contents. Thanks for the work. The PST to NSF Converter tool assisted me to convert my old PST from Outlook to Notes. The conversion process was carried out by the tool smoothly and efficiently. Brilliant Work, Thanks. I tired the Demo version of the Outlook to Notes Converter tool and was completely satisfied by its working so I upgraded to Full version. Also support team helped me in carrying out the migration process smoothly. Thank you all, Guys. Lotus Notes is something more than email client, unlike Outlook, Lotus Notes integrates work as an instant messaging and office tools to create edit and manage documents, presentations and other custom applications. The database saves by Lotus Notes is mainly categories in two parts first is mailbox, named username.nsf and other is names.nsf to store the address book of Lotus Notes. Outlook is also desktop based client which is integrated as a part of Microsoft Office suite. It is mainly meant for emailing purposes and its serves many facilities like calendars, task scheduling etc. Outlook stores it data in two proprietary formats - and PST. Both files are used to store emails, contacts and other data present in Outlook. is maintained when the Outlook is configured with exchange server. Why to Convert PST file to NSF? Lotus Notes is more faster and secure than Outlook in any means. Lotus Notes can be customized to a greater extent than outlook, indeed the customization can suit the needs of user. Once PST to NSF conversion is done user can share the documents with multiple clients and user can edit them. As User import Outlook PST file to Lotus Notes they can attach the voice messages, videos, songs along with the text message. PST to NSF converter is the right approach to convert PST file to NSF. The tool is enriched with advance quality features that export entire data files of Outlook to Notes with full integrity. The user can utilize the Filter property of Software to eradicate useless data of Emails, Calendar Entries, and To-do etc. at the time of Outlook to Lotus Notes conversion. Software is equipped with an easy graphical interface that doesn't require any calculation to do the migration.